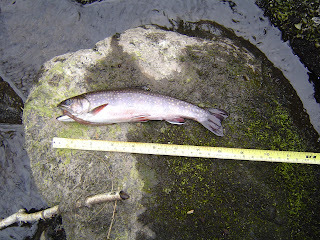 Returning from salmon fishing in the Yemen to upstate New York, the 2012 Opening Day for trout season was low-key, yet productive. In New York’s Capital Region, weather was back to seasonal temperatures, two weeks after record-breaking spring temperatures. Water levels were perfect, with no run-off. It was cool and overcast, which helped when sneaking up on the stream. The only drawback was that water temperatures were cold. On a trip to several streams in Rensselaer County, the county between the Hudson River and Massachusetts, Pete Howard and I saw many cars parked by streams. Yet there were many places to fish with no other anglers. 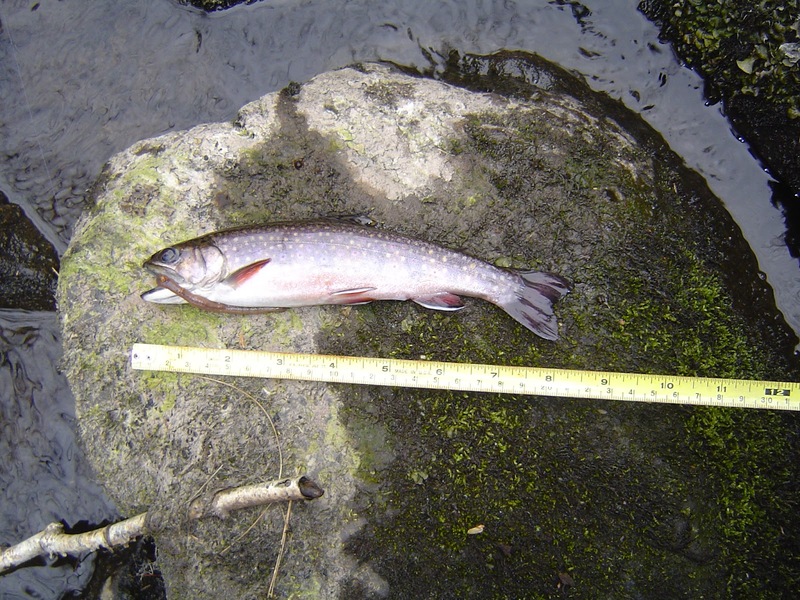 At our first stop, a small stream off a county highway, we each caught and released brook trout that were eight or nine inches long and had many nibbles. At our second stop, the water looked incredibly fishy - - but no fish were biting. I learned the next day that people on the same stream had experienced slow fishing, punctuated by catching a 23 inch long brown trout, a good fish for any stream, let alone this smaller stream. Many anglers do not like to fish in the early season, disliking the erratic weather or the cold water. However, one of the most valuable parts of fishing Opening Day was the chance to sweep out the winter cobwebs. Pete and I got our tackle in order, learned what was running low and now have everything in the correct vest pocket or tackle box compartment. We had extended casting practice in flowing water, rather than in the backyard. And we caught some fish!